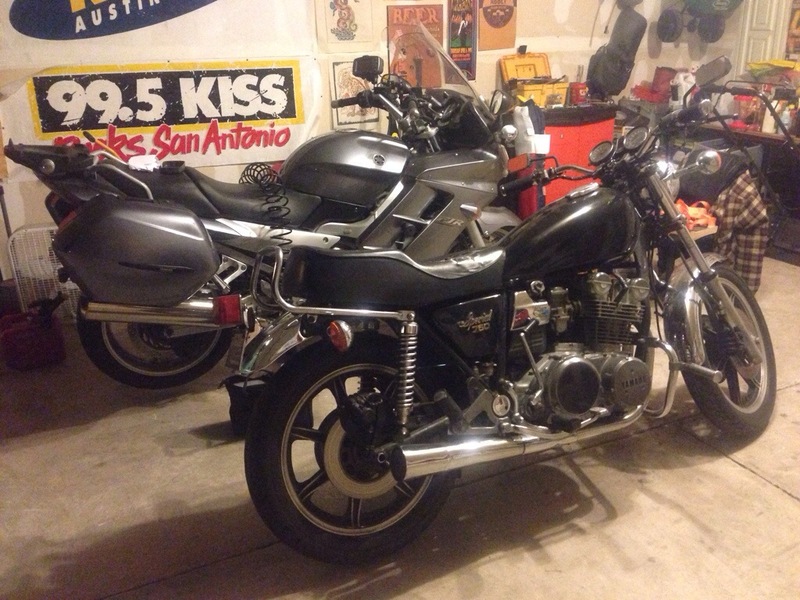 Well, I sold the FJR1300 and ended up with a bike I had a couple of yeas ago. 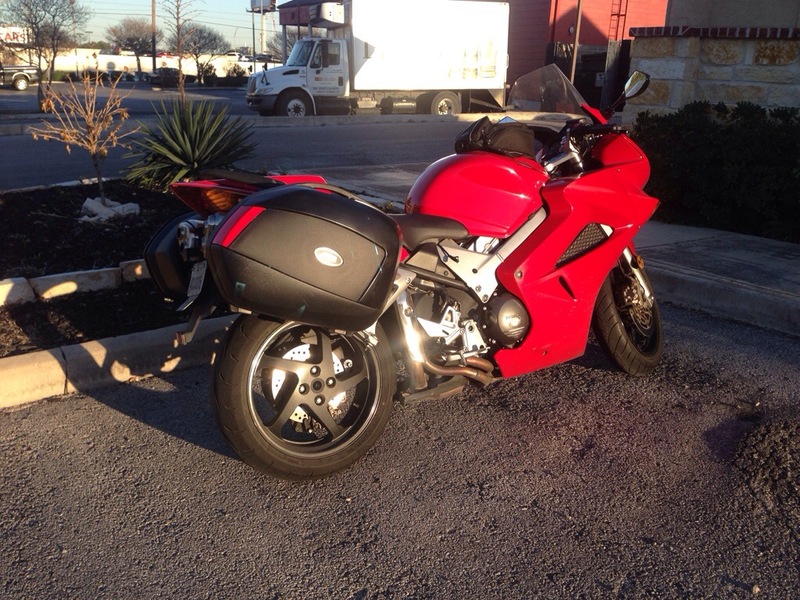 A 2002 Honda VFR800 VTEC. This smooth middle weight Sport Tourer made a great impression when I had the first one a few years ago. Honda wanted to flex its engineering muscles with this 6th Generation of the Interceptor. The motorcycle has a silky smooth V4 with variable valve timing paired to a 6 speed transmission designed not for racing but commuting and touring. This Viffer operates mildly when ridden under 7000 rpms. Two out of the four valves per cylinder keeps the thirsty V4 manageable when riding with fuel economy in mind. Twisting the throttle above 7000 rpm and the engine releases the additional two valves/cylinder – the engine note deepens and a rush of acceleration is tapped. I have averaged between 35 mpg for commuting and closer to 40 mpg when on the open road. This Viffer came to me naked. No touring luggage or such equipment. But I have to say that outfitting this bike the 2nd time around was much easier. 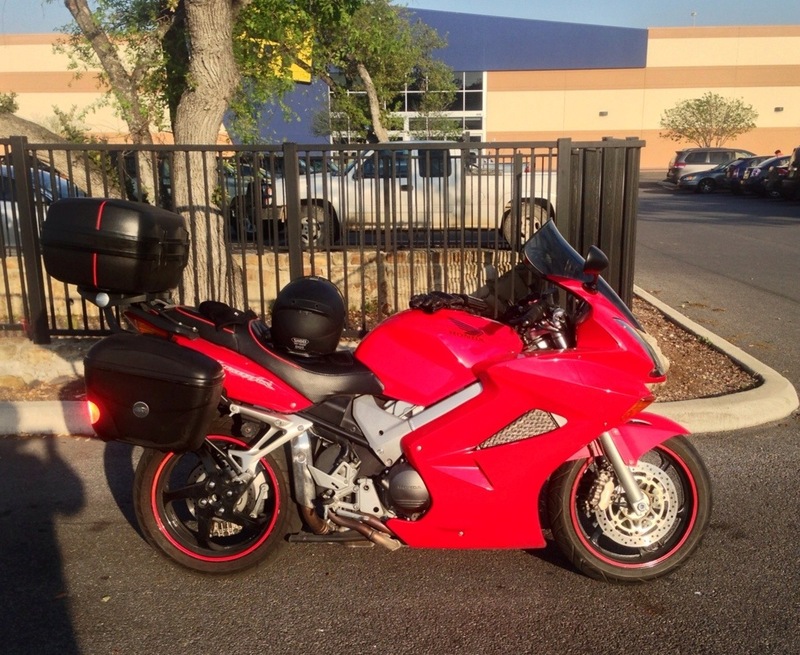 Plus I went with a more OEM looking luggage set from Givi. I have yet to name the Viffer yet. Waiting for personality to bubble up to reveal her true self. 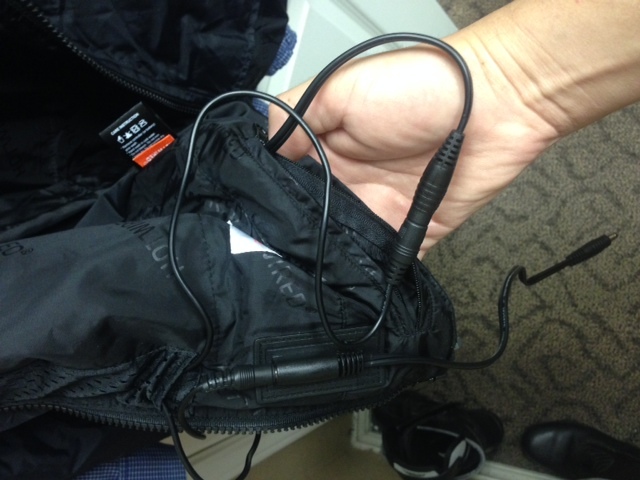 Sedici Hotwired Heated Jacket Liner Review. 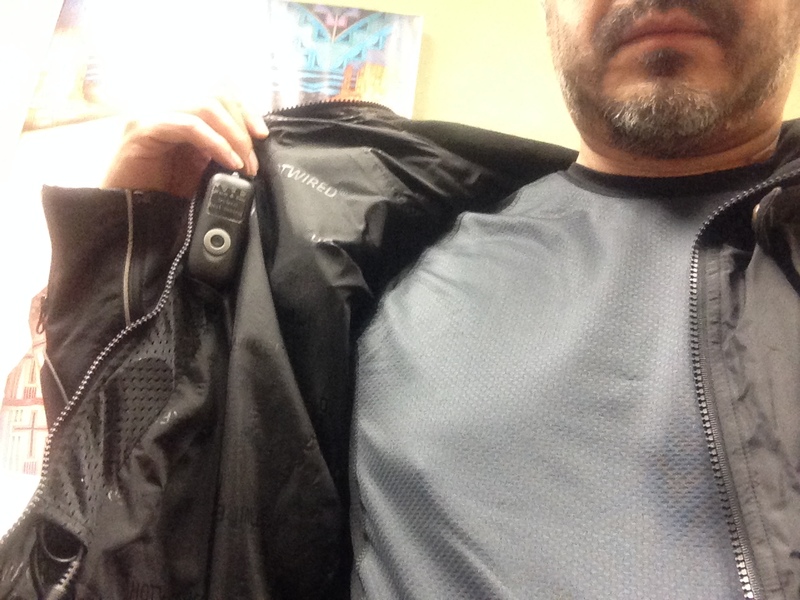 Recently replaced my Gerbings heated vest with a Sedici Hotwired Jacket Liner purchased at Cyclegear. My Gerbings vest was a great piece of gear that never failed me but with the lack of arm protection and winter upon us, I needed better protection. I’m mostly a frugal person, I tried trolling on Craigslist and eBay for a gently used one but with no luck. I was left to gift this to myself so price was a little bit of a factor. Gerbings, Warm & Safe, Firstgear had similar jacket liners at twice the price plus possible shipping and limited warranty. But with the pressing need for warmth, I was a little bit in a hurry to find a solution. Did a bit of research and found very little online in regards to review. So I tried on the jacket at Cyclegear and paid the man $159 – 20% (website sale honored by the local store). My purchase included the jacket liner, Coax battery harness, single heat controller and supposedly a lifetime warranty for both jacket and controller. The tags indicates 3 years but was reassured from the sales person that the brand is an in-house product (like Bilt) and will carry a lifetime warrant – just keep the receipt and tags. First impression was that the jacket liner indeed feels like a liner. Very thin, could not feel the wiring within the jacket compared to my older gen Gerbings vest. The instructions that came with the Sedici Jacket and the controller were pretty much useless (and lots of misspellings) when it came down to how to wire connect the heat controller to the jacket. Once again I went online to search for instructions on how to connect the jacket to make the magic happen. So, this is how I figured it out. As you can tell, I’m not using the Sedici heat controller. But more on that later. The heat controller has an input and output cables. 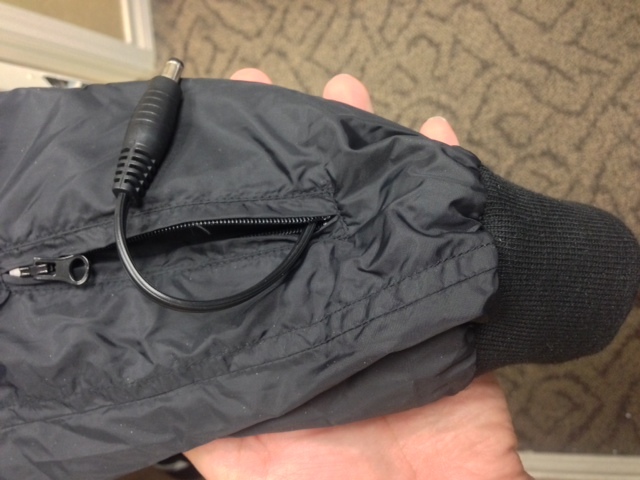 The jacket has a fix coax male connector dangling from the jacket. When you follow that up, you are met with a female Coax connection box facing upward. You insert your Controller’s male plug into there and the controller’s female plugs into the jackets output jack (found in the little zipper compartment) found underneath the junction box. The remaining dangling Coax cable connects to the included battery harness you should have already installed on the bike. If you stick with the original controller, you get what is pictured above. 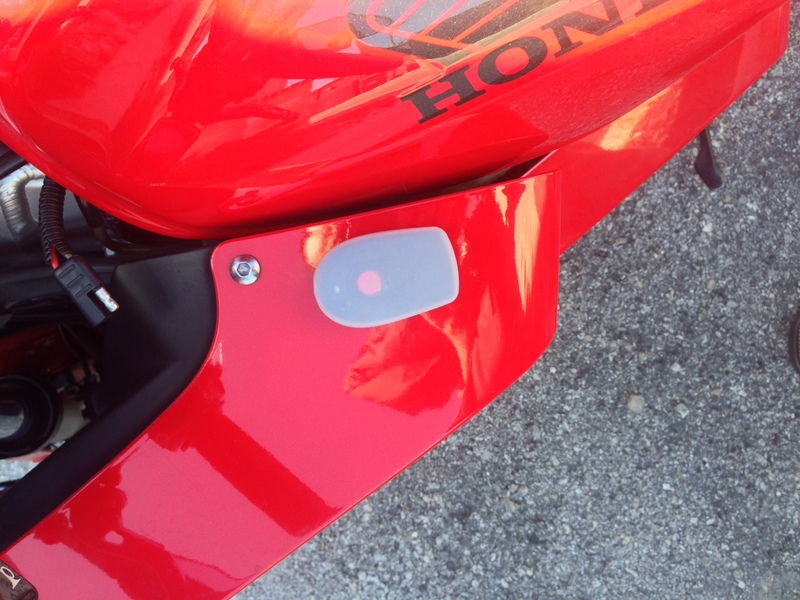 The issue I had with it was – it has to be controlled within the jacket which makes riding and controlling the heat temps a little hard. Some folks have positioned it facing downwards. Coming out of the bottom of the jacket. 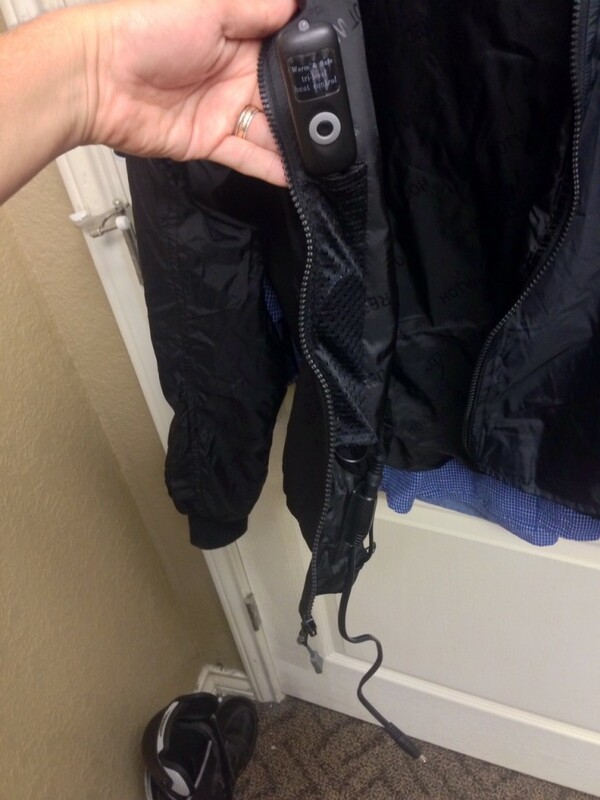 This way, you can control the temp without having to stop and unzip the jacket. 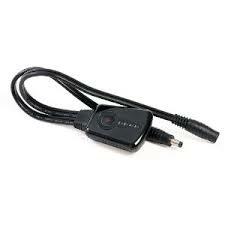 I’m using a Warm & Safe wireless remote controller. This allows me to tuck away the wired controller within the heated liner and adjust the temp using a small remote that I have Velcro-ed to my VFR. Testing is still on going, we shall see if I come across any issues. Carrying the Sedici controller and fuses just in case. The Sedici jacket liner works well as a replacement to the liner your jacket came with. It breaks the wind well and the heating is almost instant. I have to admit that the Gerbings vest heats up faster. Sedici sizing is pretty true. I wear a 42 jacket normally and the medium sizing fits pretty good. Sedici adds elastic to the cuffs and on the sides of the liner. 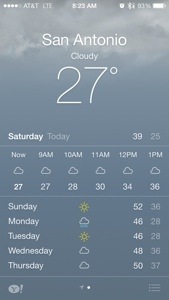 You want to wear heated gear close to the body (I suggest you wear a long sleeve underarmor type of base layer). This allows the heat to be felt and kept for a longer period of time without having to crank up the temp. The liner is prewired to expand your heated comfort to your hands by way of heated gloves. Sedici hid the cables to connect to your Sedici gloves (from what I read – the gloves come with built in temp controllers on the top of the gloves) into the top of the sleeves and zippered away when not in use. Would I recommend this product? I would say YES. It’s hard to beat the warranty and the local store support you get from Cyclegear. They are sprouting up everywhere lately. They’re normally happy to help you with warranty issues or swap out a problem piece of gear without much fuss. (My experience anyhow). I will post more on the jacket as I get to know and use it. It’s almost been a month and I love this liner. Temps in San Antonio have been 20’s and 30’s in the morning. Have worn this Sedici heated liner under my Joe Rocket Alter Ego jacket without the rain liner and just an under armor style long sleeve . It provides wonderful warmth. The combination of the heated liner and my Warm & Safe heat troller/ wireless remote has worked with out any issues. Have only needed to use the lower heat settings on my troller and have not notice any stress to the charging system or the battery. Battery charges quickly as soon as I connect the trickle charger once i’m home. Will continue to report my experience as we wind down our winter season and look forward to smoldering temps in South Central Texas and the transition from solid textile winter gear to full mesh/perforated gear. Almost a year later and the jacket is still going strong. Has been rolled and packed away in my side case. No complaints yet. Got out this past weekend for the first ride of the new year. Mid 40s, wore the liner under my 3/4 Tour Master jacket and over a dry fit long sleeve and it worked great. Had it on for about 5 min on low a couple of times and never turned it on for the rest of the ride. Looks like Sedici/Cycle Gear has a 2.0 version out now. 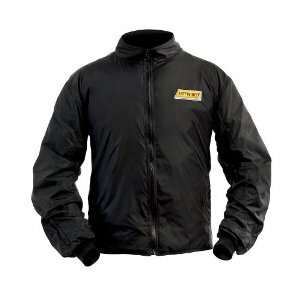 (http://www.cyclegear.com/SEDICI-HOTWIRED-Heated-Jacket-Liner-20). Will see what the differences are next time I’m at their shop. Happy New Year and I hope your riding season starts sooner than later. I’m not the biggest reader in any respect but my lovely wife gave me the book Ghost Rider by Neil Peart and I was hooked. Since then I’ve enjoyed Neil’s co-authored book (Keith J. Anderson) Clockwork Angels. But back to motorcycle related subjects. I’ve started another book by Neil Peart , this time on audio book called Roadshow – A Concert Tour by Motorcycle. Will share a small review when I finish it. Well folks, the temps were in the mid 80’s last week before winter finally reared its ugly head in Central South Texas. 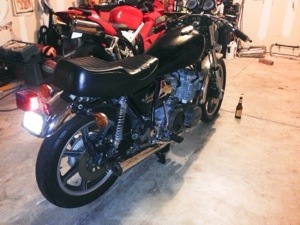 Picked up a 1978 Yamaha XS750 a little while ago. I now have a winter project to keep cabin fever away. We shall see what direction I go. Tracker/cafe/frankenbike. Harley is introducing two new water cooled motor bikes for 2014. Less expensive than the beloved Sporty and styled with the urban youth in mind. Bobber / racer styling, super flexible with a catalog filled with all kinds of “Make it yours” accessories. Rides taller than the low slung Sporty and has slightly shorter wheel base. Interesting to see where this goes and how the water cooling may bleed into the Sportster line. 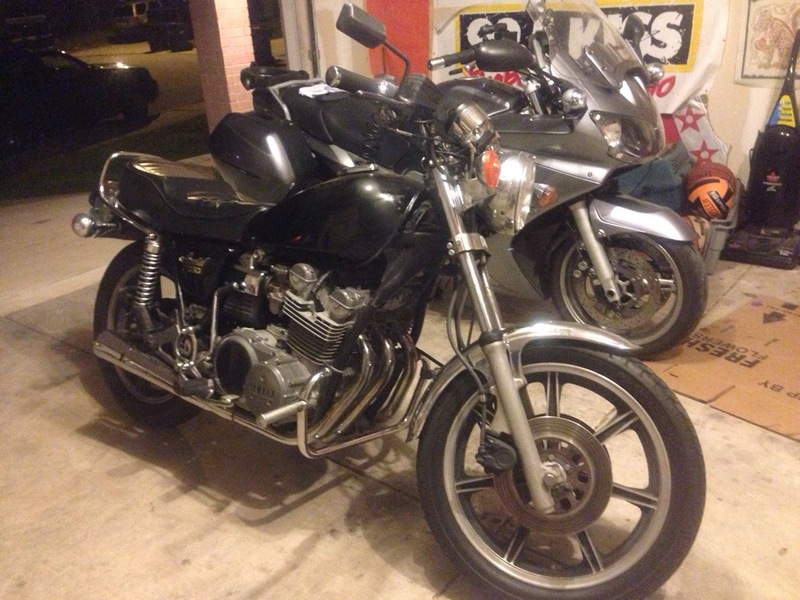 Been looking for a cafe racer project for a while. While trolling Craigslist one Sunday morning, I came across a great candidate and with a title! 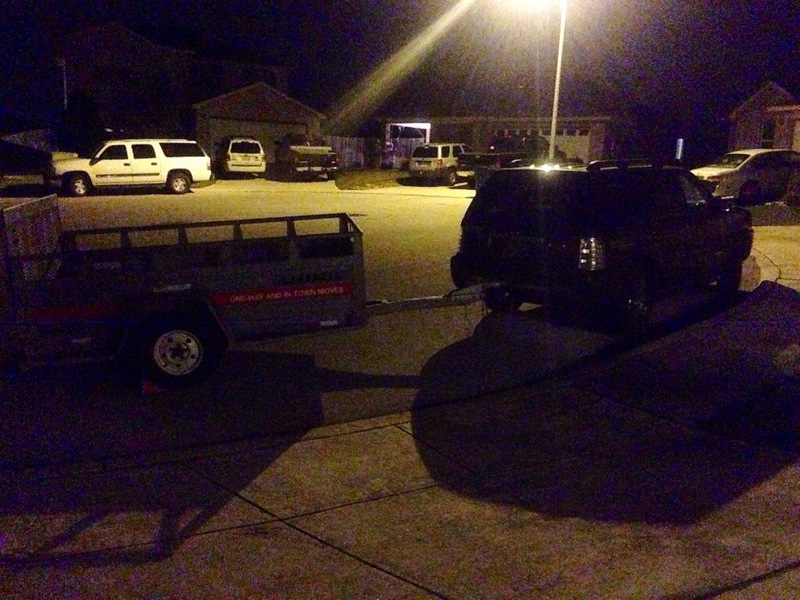 Made arrangements, packed the family into the SUV (Thank you honey), picked up a uhaul trailer and off we went. Instant family road trip. The journey was about 4 hours each way from my home town, the seller was spot on with his description of the bike and to top it off (I have to say was what sold me) he posted a YouTube video of the bike. His video displayed a cold start, a walk around the bike and he riding the bike. I couldn’t get there fast enough. Made the deal, got the bike home and changed all her fluids. Have ridden her around my block and she is going to be a great candidate for either to restore or a cafe project. I’m still on the fence. Photos of this project to come soon. Gotta get me a 3/4 helmet now. A scooter rally that’s packed with a loteria run (poker run) and other activities going on this weekend. Kicking off this First Friday in San Antonio. Check it out!